Four years old, born on the 20th of fall in 513 AV. Reeds stands at about 5'5", weighing in at about 138 pounds. She is lithe, with an angular face, and hard, olive green eyes. She has rather sharp teeth, and claws from her counterpart. Her locks are dirty blonde, waved, curly, parted down the middle, and seemingly sea salted. Very rarely does she look joyful- more often alluring, calculating, or reserved. As a cat, she is 8 feet long, nose to tail tip, and weighs about 145 pounds. She tends to smell like russet, vanilla, earth and apples. Born right outside of wind reach, watching the large birds fly. The woman is opinionated, and though can be hasty, it is not often she is so. Not quiet, or shy. Though she does enjoy company, she is very particular about who she allows it to be. In constant search for strong, morally driven companionship, though it is less than obviously something that drives her day to day. Reeds loves sweets, though you'll never see her admit it. Rather, she'd claim her favorite snack to be something light, such as crackers and honey, that would allow her to move with ease rather than feel heavy. walls between myself and strangers, not easily passed. Unfortunately, she's rather aggressive. This does not mean she will attack on sight, but is less likely to refrain from violence when uncomfortable. Reeds was birthed to a mother and a father... as is everyone. Near Wind Reach, but not within- she watched the large birds fly. Her father died when she was very young- he was an inarta, bonded to her mother, a kelvic, and she took care of Reeds until she was old enough to go off on my own. He had taught her Nari, and it was passed to Reeds. It was nothing special- things were what they were. She found her mother was a nuisance, yet still loved her. A rodent kelvic, she and her daughter looked at things quite differently, and as hard as it was not to hold it against her, the daughter took it in stride. She trusted her mother, which was what was most important. However little she understood Reeds, she cared. That was what a kitten needs, after all. Caring. Of course, it would have also been nice for someone to teach her how to hunt properly. Or to expose her more to the world. It was seemingly far less useful when her mother decided to teach her herbalism, though perhaps that taught her more respect for the world around her. A small part of Reeds fears she is more atrocious to the more human like species, the more civilized races- but the larger part doesn't care. That part of her screams, that it doesn't matter who doesn't like her- it only matters that there's one person who can keep up, match her power, and help her move forward. It is loud, and screams it often. Reeds' mother only briefly discussed the instinct for companionship, but by the time she found it appropriate to discuss this with her, Reeds had grown large and strong and.. supposing to a rodent, frightening. Her mother became quite the recluse the older Reeds became, and the more instincts took over. Eventually she found she had nothing left to teach her, and Reeds left. There were goodbyes, but no crying. It was not sad. She believed in Reeds, and Reeds in herself. 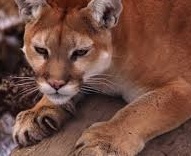 Her molther did not believe she was sending her off to die, but to thrive, and the cougar kelvic felt the same- and on top of that, relieved, as she left to search for whatever she is missing. Reeds generally wears some basic black knee high boots, pants beneath them, and a long sleeved v-neck light weight beige blouse. She has a black cloak as well- and often wears it.. people generally don't want to talk to her when they can't see her face. She does use a tent, and has some basic items.. Specifics are on a need to know basis, though, so you won't find her giving you details! And she could only get better if I learned anything along the way! "If you don't watch your steps, the prey will feel your presence." "There is no time for those who are uncertain!" Reeds has a dagger, heirloom , given to her by her mother. Suppose she didn't have the teeth or claw as Reeds does to protect herself. She never uses it, although.. it is a nice reminder of her mother. Last edited by Reeds on February 10th, 2018, 2:38 am, edited 4 times in total.